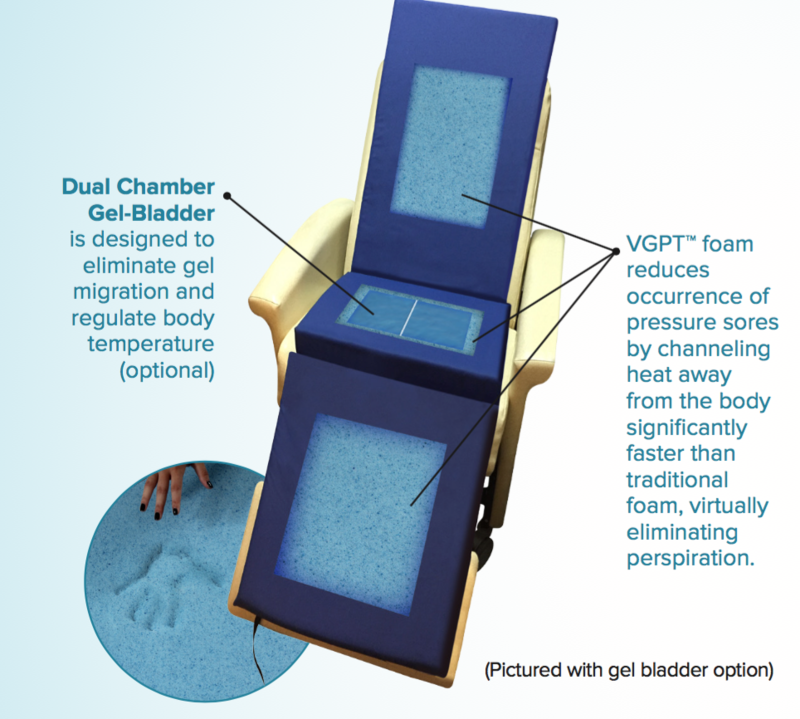 This deluxe cooling gel overlay is perfect for patients who prefer to sleep upright or in a reclined seated position. 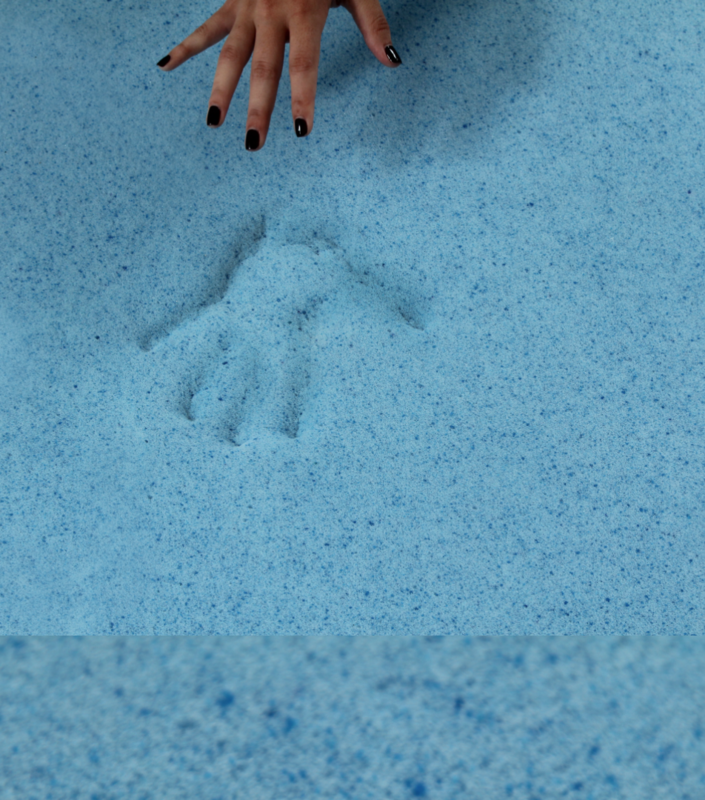 The seat area is composed of high-resilience foam with a water-based gel bladder for added support, redistributing pressure over a wider surface area. Head and back sections comfortably contour the patients head, neck, and back for optimal comfort. The heel section uses Lura-Quilt, a revolutionary aerated foam that allows for greater circulation, keeping skin cool and dry. The low-friction, low-shear, waterproof stretch nylon cover is washable and breathable. 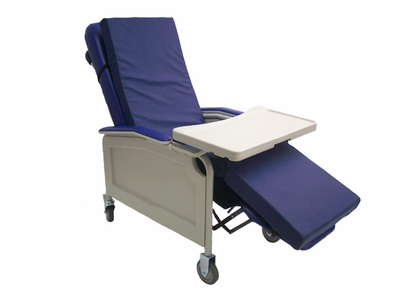 The bottom cover features rubber non-skid padding for added patient safety. 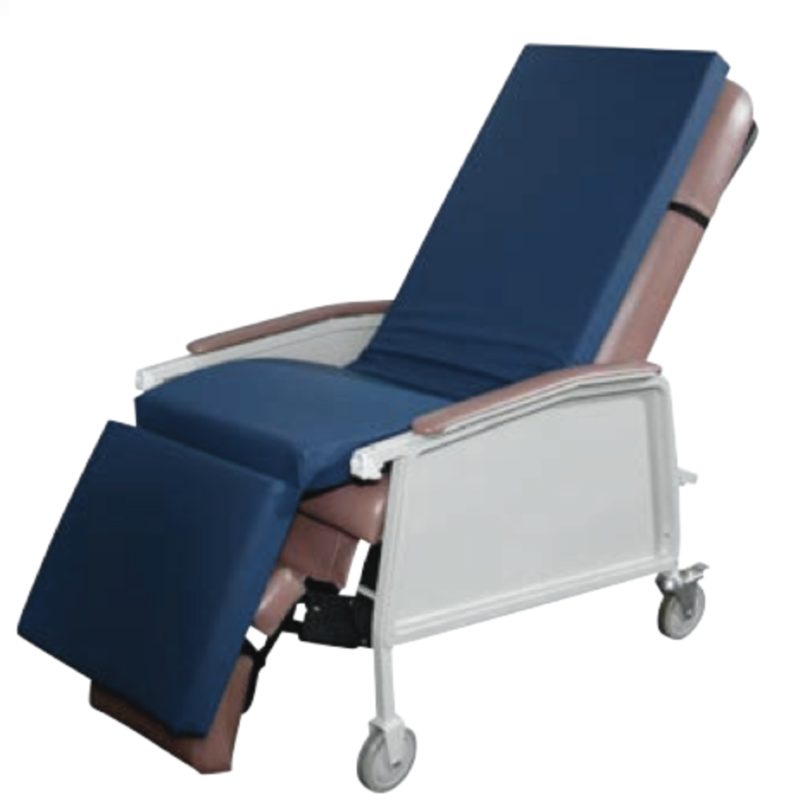 The Pro- Geri-Chair Overlay is an ultra comfortable choice to reduce interface pressure while seated in a geri-chair or recliner. � Top layer of foam features Visco Gel Polymer Technology (VGPTTM) which provides rapid heat dissipation and excellent pressure redistribution. � Seat area - Pro Gel Cushion contains a center seam gel bladder which eliminates migration. � Top Cover � Stretch waterproof Nylon. � Warranty: 1 Year Non-Prorated. � Bottom Cover � Non-skid vinyl with 3 safety straps.